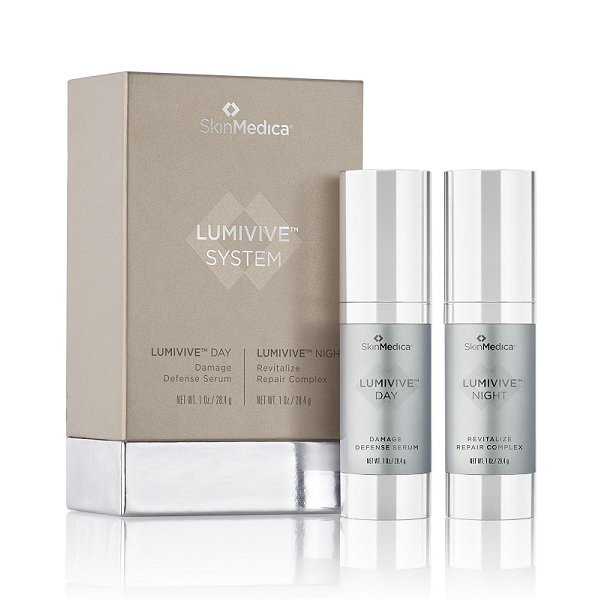 During the day, LUMIVIVE™ defends the skin from environmental aggressors such as blue light from phones, tablets and computers, as well as pollutants in the air. 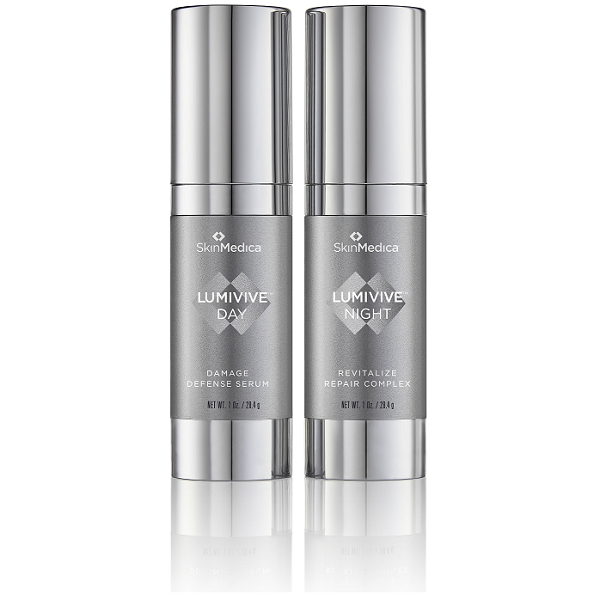 Overnight, LUMIVIVE™ revitalizes and detoxifies the skin by restoring its essential nighttime repair process. 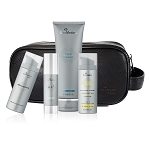 Apply one pump of LUMIVIVE™ DAY to the entire face after cleansing in the morning. 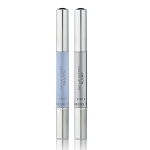 Apply one pump of LUMIVIVE™ NIGHT to the entire face after cleansing in the evening.